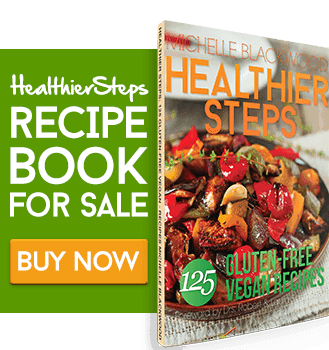 These Low Carb Eggplant Bites are the perfect and satisfying way to enjoy eggplant. 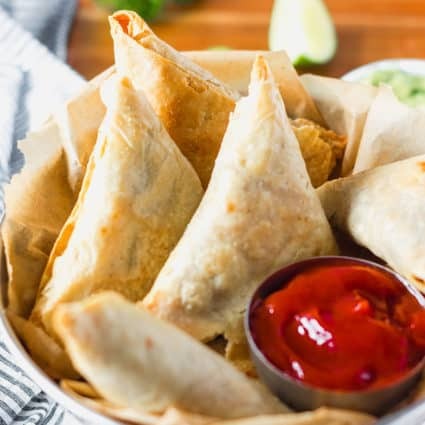 They are flavorful, breaded with a delicious and crunchy breading and topped with fresh veggies and an almond cashew cheese sauce! 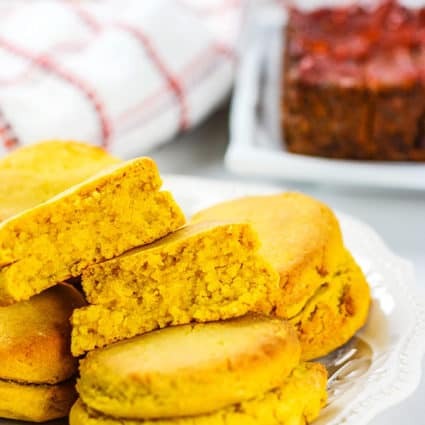 These Low Carb Eggplant Bites are vegan, gluten-free and low carb. 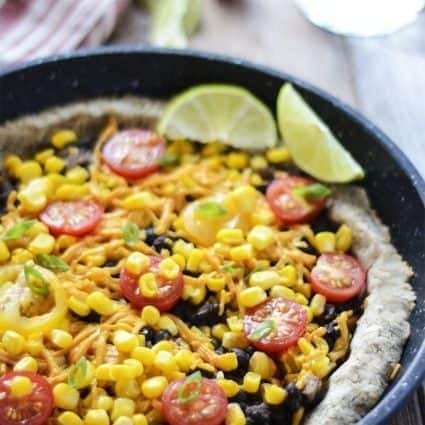 if you are craving for pizza but dreading the carbs, well these delicious treats are just right for you! I found myself craving for a gluten-free pizza but I didn't have all the ingredients to make my Mediterranean Pumpkin Pizza, and we had run out of store-bought Daiya Pizza. I decided to whip up this easy to prepare, Low Carb Eggplant Bites and they were so delicious. I added my favorite toppings, tomatoes, artichoke hearts and a delicious and creamy almond sauce. For the breading, I used seasoned almond flour as the base after dipping the eggplant slices in a mixture of vegan mayo and almond milk. if you don't have vegan mayo almond milk mixed in a little cornstarch is fine. Preheat oven 400 degrees F. Lightly grease a baking sheet with oil and set aside. Mix vegan mayo and almond milk in a medium bowl and set aside. In another bowl, combine breading ingredients and mix well. 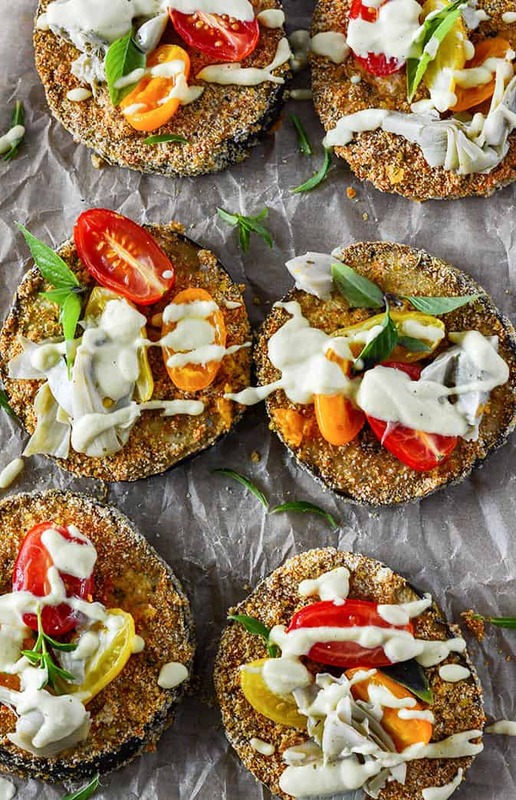 Dip each slice of eggplant in the mayonnaise mixture, then coat completely on both sides with the breading and lay in a single layer on prepared baking sheet. Bake for 20 minutes or until golden brown and tender. Meanwhile, eggplant is in the oven, prepare the almond cheese sauce. Place ingredients for almond cheese sauce in a high-speed blender and process until smooth and creamy. 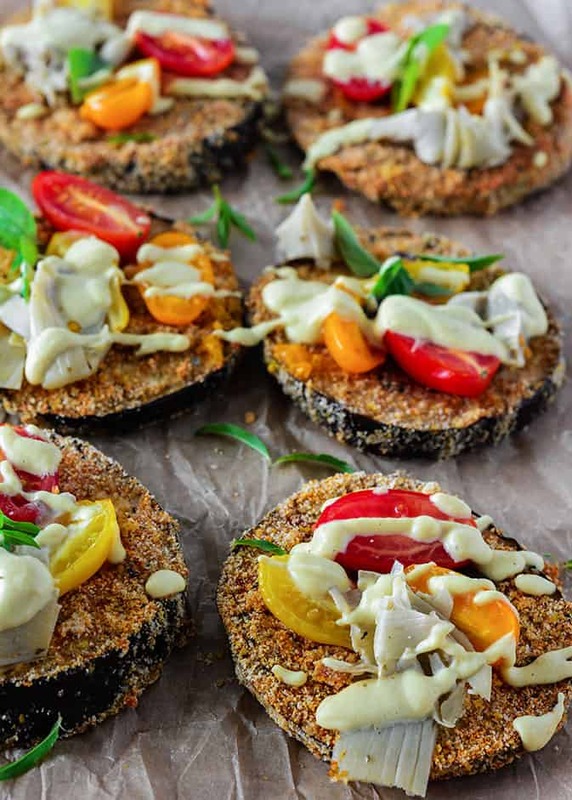 To serve Eggplant bites, place prepared eggplant slices on a serving platter and top with tomatoes, artichoke hearts, basil leaves and almond cheese sauce. Serve immediately!